As part of this Masterclass coaching series I'm helping my members plan, create and grow their online fitness businesses. I'm sharing these interviews from those who kindly agreed in order to help you, but ultimately I want this to really encourage the fitness industry to be more collaborative, more open and generally more successful at serving our clients. ...habits and online group coaching. This week I'm joined by Kasey and I help her create an online group coaching program focused on habitual coaching. 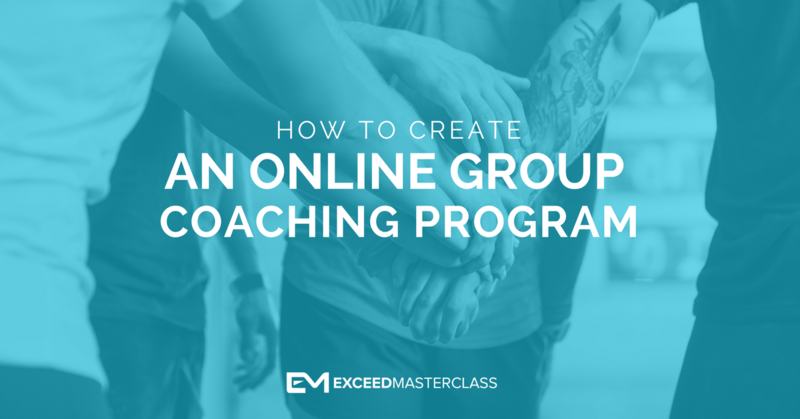 I show Kasey the key areas to focus on to generate an online group program but I also deep dive into the habit based system that we use here at Exceed Nutrition. We also chat about some of the difficulties that we can face with online group programs, so that you know what to expect and how to overcome them. Ru: Tell us what you're currently up to. What's a day in a life currently look like for Cassie? Kasey: I'm personal training full time. I work in a facility whereby rather than paying rent we have to do 10 hours a week for them in exchange for free rent. I don't have any outgoings in terms of paying rent but I have to give them 10 hours a week in the form of group sessions, like boot camps and also servicing some of their personal training clients. After that, I just work for myself with one to one personal training sessions mainly. I've also got a small group of women I've been training that I enjoyed and I want to go down the group training avenue and look towards creating this as an online business. I'd like to transfer from the money for time model into more automated business or something that's a little bit more online based. I don't really want to go into one to one coaching online because I don't see the difference in being one to one with people in a gym or online. I like the idea of creating some form of product or some sort of online process, which is my big goal eventually. But at the moment I'm training people on a weekly basis and I've got to the point now where I'm quite comfortable, and not wondering where I'm at month to month. I've got some good client retention rate. I feel like I'm working a lot and I want to be a bit more efficient, work less, earn more and get that process up and running. I think I'm struggling to be consistent with it. I'm knackering myself out on the gym floor and finding it very difficult to actually focus on allocating time to doing the stuff away from the gym. Ru: Yeah. It's definitely a bit of a Catch 22 when you get busy with the offline stuff and then you want to do the online stuff too, I've been there myself. I left my full time job originally to start online but I needed extra income initially so I joined Pure Gym. I did 15 hours a week for them for free rent. I had no clients online or offline, I still remember this really well. I did my boot camp classes and my spin classes at six o'clock in the morning, and cleaned the machines and did all of that stuff. At the same time I wanted to build up that online business and I was very ruthless with my offline time. I always made sure clients fitted my schedule, which probably cost me a few clients here and there. So I totally feel your current position and situation. So what is the time-frame for all of this? When would you like to have that up and running? Kasey: If I was talking about transferring to completely online, then within the next year I'd like to at least have a good grasp of what that would look like and learn the processes I need to transfer over online. In the next three months I want to create a product or the process that I would like to use moving forward. I've been thinking about doing it with a group of women in the gym and going through the whole process with them first, so I can figure out what it will look like eventually as a whole. Ru: I definitely think you want to have some experience with one to one coaching, whether that's offline or online. Because you already have that offline interaction and one to one experience you can go straight into the one to many coaching model online. It takes a bit more work because it's coaching a lot of people, as opposed to just the handful of people. You're going to have to harness a bit more software and technology and create stuff as opposed to just giving away your time. That takes a bit more time to see success with, simply because you have to do these extra elements. Do you have in mind who you would really like to work with online? Kasey: Most of my clients I currently work with are the same sort of people that I'd like to attract online. My wide spectrum of age range would be from 25 to 55. But if I really narrow that down then mid 30s to late 40s early 50s. But it's more about what I want to advocate as opposed to age. I like the idea of balance and long-term lifestyle change and I like your stuff on habits. I've been using that quite a lot with my clients. Recently I had a small group of women that I took through a weekly habit program and they have adopted some really cool changes as a result. I also want to bring in an element of educating people on goal setting, creating rituals and consistency rather than bogging down with deep nutrition, which isn't really my style. I like to talk to people in a language that I like to be talked to. That's women that have maybe yo yo dieted in the past and are looking for a more sustainable way. People that enjoy and want to be healthy but also enjoy being sociable, it's mirrored similarly on myself. I love to be fit and healthy but I am also a very social person. I am not like a stereotypical personal trainer that wants to talk about nutrition every day and eat clean 24/7, that's not me. The balanced lifestyle that I've eventually come to understand is what I want to project out. Ru: OK. I've got a great understanding now of where you're at, where you want to go and who's it for. Is there anything I can specifically help you with? Kasey: I'm on your Masterclass but I haven't been into it quite as much as I would like to yet. Is there any areas that you think maybe I should focus on within that to help me actually generate some sort of product? How would I go about using social media to create awareness around that? Ru: I think something the stands out is that you are set on creating that one to many type program online. And like I said it's slightly different to the one the one stuff. You want to be doing is providing this support, guidance, teaching and accountability, which we do as personal trainers, but you need to transfer that into a one to many type model that provides those same elements, without us having to be there 24/7. I've done this exact model well over a year ago now for our own online nutrition and lifestyle coaching program. I've got a lot of experience with it. I've been through the pros and cons and I wouldn't go back to the old one to one model. I was able to reach that transition stage with having that one to one coaching experience, where I've created resources for people that I could then put into the one to many template. Kasey: I did a week habit program with some women in the gym where we met on a Monday and we talked about a specific habit. We then trained a couple of times a week together and reinforced different things each week. I learned a lot from that and going into the new year a lot of them wanted to replicate that and do more with it. I like the idea of creating a 12 week program whereby we go through a process of lifestyle change. My idea was to go through the program with a group of women actually physically in the gym. That would give me the time to create the resources and see what is working and what isn't. That can be almost a trial for me to see what it will look like at the end. Ru: Yes I agree. I think habit coaching is a fantastic tool for us and it works as well particularly for the type of person you say you want to work with, keeping it simple and keeping it focussed on some small lifestyle changes. And with the online factor and the group model it's absolutely a no brainer. That's why I love it and I've become a bit obsessed with it. I definitely think you're on the right path with the habit coaching and using that model into an online process. Now you say you haven't dived into the Masterclass too much with this but you might have seen a couple of good courses on habit based coaching? Kasey: That's some of the stuff I have dabbled into. I haven't really got into the business stuff yet. It's more the habit stuff that caught my eye initially. Ru: At Exceed Nutrition we're using that exact habit template you'll see in the Masterclass. We run one habit at a time and get people to focus on it for 7 to 14 days. That works really well and it works even better for online group coaching. You can put this habit out to the group, providing you've set up some form of community around it. That could be as simple as a secret Facebook group, just to get started. I've even seen people use tools like slack or you could use a forum type set up. A forum will work better when you reach a certain amount of clients because they are hard to generate a bit of engagement. When you start off with this first program and get 5-20 clients, I would personally stick them into a Facebook group instead. I would then run the exact same habit focussed coaching program that I've mapped out in the Masterclass and deliver that inside of the Facebook group. Did you did you download all of the habit challenges? Ru: Awesome, so you've seen that there's six months of programming that you could use. We would do the same in our Exceed Nutrition forum, we would create a thread with a particular habit and ask the clients to commit to it. Then you'll find people will chime in and engage with one another creating a conversation in the community. They will support one another providing a lot of value to your clients without you doing very much. However, you've done the groundwork work already in terms of putting this together for them. I genuinely believe that would be one of the easiest ways to get set up with the online group coaching habit based model. Have you tried like using the Facebook group for this purpose? Kasey: I did. We have a Facebook group, I used it with my clients and they were posting daily just like you said, photos of them messing up or photos of them doing well. I was putting in daily motivation and just reminding them of things that they should be thinking about and asking them questions. It worked really well. Ru: This was with your offline clients? Like the extra service that you decided to add in there and test it? Kasey: Yes, we also spoke once a week in person but this Facebook group was running alongside as an extra service for them to use amongst themselves. But I was also chiming in on it and trying to make sure that they were still mindful of what they were achieving. Ru: So really all you need to do is replicate the success you've had from that. And maybe you've learned some things that you'd like to change or do differently next time. Ru: I think the next step is doing some online marketing to start bringing in those online clients. That's probably the area that you haven't quite dived into so much. Kasey: Online marketing is definitely not something that is a strength of mine in terms of having enough knowledge on how to actually go about it. I'm also not being active enough on social media. I cringe a bit sometimes at a social media posting things myself. I did do a blog which was really good and I was really pleased with it. I just think need to take some time to put myself in the right way as opposed to ways that I hate on Facebook. Ru: Yeah, I totally get it. I think one of the biggest challenges particularly with a group model and habit based coaching is that it's different to the norm. That can be difficult to get across sometimes in terms of what you're really offering because people are expecting diet and nutrition plans. I think you have to break that traditional mindset with people and say 'you're not getting all of that stuff that you're typically accustomed to because that likely hasn't worked for you so far, we do things differently'. That can be difficult to get across through online marketing and social channels. At the same time the group coaching model can be difficult purely because people are accustomed to working with a coach directly and getting that personal time, which you can build into your program at some stage or offer it as a high tiered value. It's not really about blog posts or social media updates that's going to sell the program for you. What you really need to look at is building out a good sale's funnel. Getting people online who are browsing through social media targeting them and getting a message in front of them. Over the years I've tried a lot of different things, I've tried daily e-mail marketing, lots of social media, video series, webinars and all of this different stuff. All of it works, but you want to focus on one thing that you would be really comfortable doing. You could put together a three or four part video series that's helping your ideal clients and linking it to your program. You would give that away for free in exchange for an e-mail address. Someone would see a FB ad then you would send them the three-four videos. After that you'd send them information about the program. You could also do something similar with putting together an online workshop, which is very much like a video series but it's just condensed into one. You want to have a think about the kind of marketing avenue you want to put together. It's going to start with putting something free out there. Have you got anything that you offer in exchange for that e-mail address? Kasey: Not currently, it's something that I need to do to generate. Ru: That's definitely one of the key starting points. Find something that you are comfortable giving away for free in exchange for e-mail address. On a most basic level it could be just a small e-book or portion control guide, something very simple to give people a very quick win. Once you got the email contact you would perhaps build something a little bit more robust to provide some more value and to tell them about your program. Email marketing is going to be the most effective way to selling online group coaching. The social media is going to bring people into your subscriber base on your e-mail marketing platform. You want to have those social media platforms pulling people into your email subscriber list so you can see that growing and increasing. Then you can use and focus your energy on creating great value and information for your subscribers and tell them about your online group coaching program. Kasey: In the Masterclass, is there all that information on how to set those sorts of things up? Ru: Oh yes. It's in there and you will find it under the business builder course. We have obviously the planning phase, the creation phase, the launching and growing phases. You will find that under the creation phases. Go through the roadmap for creation and you will find information about generating your first free give away and how to hook that up with your email service provider. 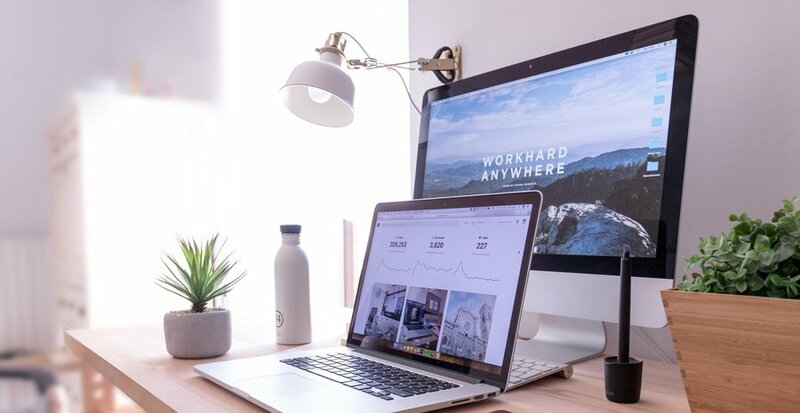 There's also the necessary training to actually promote that and get it out there into social media and maybe using some paid advertising to consistently bring in leads and sales. That's what I recommend for you, head to that training and get focussed on your free thing. After you get that set up or as you are doing it, reach out to me and we can keep this moving forward for you. Do you have your own thread up yet in the coaching section? Kasey: Not such, I don't think. Ru: Ok, set your thread up. You'll see the other guys in the Masterclass have all got their threads and you can post in there and say 'Ru, I'm thinking about putting this out for the for the free thing, what do you think?' I can give you my feedback and we can keep working on it and take the next steps through the course and through the the project plan. I can help you tweak it and direct you onto the next steps. I think that's going to be the best way to keep that momentum going from this first focus point. I think you are definitely on the right path, you just want to start getting some value out there for free and bringing people into your subscriber base. Then you can start kicking and screaming about your program. How does that sound? Kasey: That sounds great. It's nice to talk it through as it's sometimes the things you know you need to do but you just need to have a conversation about it and the process of it. Ru: Okay so in the next 24 to 48 hours what's your first action steps going to be from our call? Kasey: I think working towards creating some sort of free giveaway. Thinking about what that will be and maybe planning what it will look like and allocating some time to get that done. Ru: Okay. Perfect. That sounds great. All right Casey we'll wrap it up there. Thank you very much it's been a pleasure. Kasey: Yeah thank you very much Ru.